Do you know that feeling of happiness and appreciation when someone likes the food you slaved away in the kitchen to create? With four wonderful locations, we can proudly say that Tootoomoo has made a mark on this city’s gastro-map. We’ve received lot’s of positive feedback from our guests and had our food featured on a number of amazing platforms that we adore, with great reviews and positive recommendations. This brings a big smile to our faces and fosters the love we all have for what we’re doing at Tootoomoo. 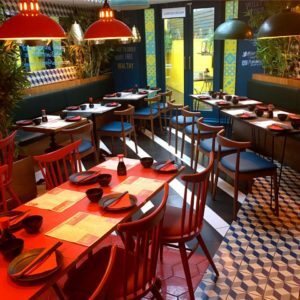 Although it all started in a small kitchen in Crouch End, Tootoomoo now is a stylish little gem of North London with venues in Islington, Whetstone and Highgate, each with a unique design and enchanting ambience. Our Crouch End restaurant was recently shortlisted in the internationally recognised Restaurant & Bar Design Awards in 2016 and featured in Ireland’s Homes Interiors & Living magazine. 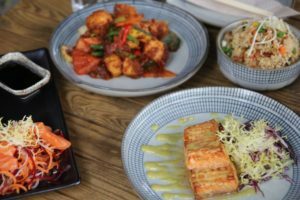 Full of flavorful dishes and delectable cocktails, Tootoomoo has proved that it’s not just another Asian takeaway, but a high-quality pan-Asian pan-culinary experience for anyone seeking authentic flavours. To make the most out of our guests’ meals, we serve exciting small plates perfect for sharing and Bottomless Brunch on weekends (at Islington and Crouch End). 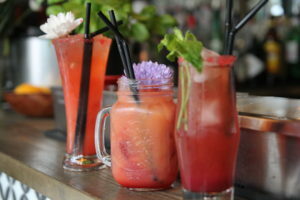 A cocktail is also essential – with or without alcohol, we can give you something you definitely wouldn’t regret. This is only the beginning. No words can describe how grateful we are to have gained such an honored place in our guests’ heart. Therefore, Tootoomoo’s grandiose plan is to feed more and more hungry Londoners with our Pan Asian specialities every single day. Taste the heavenly bites and catch t the ‘Tootoomoo fever’ yourself! We can’t wait to have you. Tip: If you haven’t heard it before, find out The Story of Tootoomoo once you’re dining at one of our restaurants!